The O’Sullivan match between the A & B teams concluded last week with 2 contrasting games. 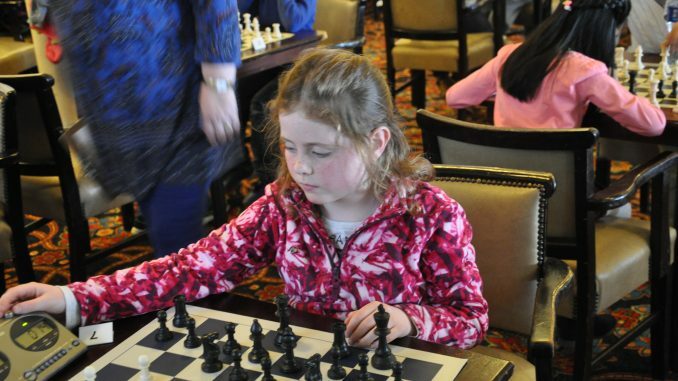 Amelie was on the other end of a very quick mate at Pranau’s fingers, whilst 6 yr old Carter Nolan beat Emilliana in a match that turned on a tactical nuance. This was a fine game, and though the boys did not make use of the hankies on offer with a 3-1 win, There was enough to suggest that both teams will develop positively. Enjoy the Summer holidays kids! !